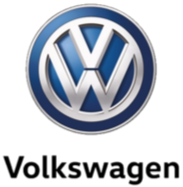 In early 2005 Volkswagen, the largest car company in Germany, was not doing particularly well and suffered a depressed share price and low earnings. Though the company had $123 billion dollars in annual sales, its annual profits were only around $2.2billion and its market capitalization only around $17billion. VW was widely regarded by the financial community as not a good company to own. Volkswagen had an important partner in Porsche. This relationship went back many years, to the 1930s, but Porsche had become increasingly reliant on its larger counterpart that produced approximately 50 times the output they did. In 2005 Porsche announced it had taken a 20 per cent voting stake in Volkswagen. This was done largely to make it more difficult for VW to be subject to hostile takeover and at the time the stake cost Porsche a large percentage of their cash reserves. It would turn out to be a worthy investment. Over the next two years it slowly accumulated more shares, eventually passing the 30 per cent threshold In March of that year. Porsche owned 31% of VW and stated publicly that it did not intend to increase that to 75%. Lower Saxony held 20.2%. By September and its stake had reached 35 per cent. The CEO of Porsche at the time was Wendelin Wiedeking, a very shrewd customer who had a reputation for financial acumen. In 2007, €3.6bn of its €5.86bn pre-tax profits were from options used to hedge against a rise in Volkswagen’s stock. The warnings were there but the market saw an opportunity for a trade that seemed from the outset very attractive. The price of Volkswagen shares between 2006-08 became the target of short sellers. For those unfamiliar of the term, a short seller is someone who profits if a security’s price declines. In other words, the trader sells a position he does not own and expects to buy it back later at a lower price and will keep the difference as a gain. The thoughts were that Volkswagen was overvalued as the market for vehicles, especially in 2008, was in a downturn. As Porsche let their intentions be known about a potential takeover, hedge funds figured the share price would fall as soon as Porsche got control and stopped buying. But one of the main attractions to short Volkswagen at the time was the divergence between its preference share value and the ordinary shares. The discount was large between the two at the time, the preference shares — which carry no voting rights but a fixed dividend — became popular as to protect German companies from both hostile takeovers and foreign influence. The thoughts at the time were that Porsche would target the ordinary shares as they carried voting rights, and this therefore would create the opportunity for investors to sell short the security they believe to be overpriced (the ordinary share in Volkswagen), and buy the one they think is under-priced (preference share in Volkswagen) with the idea that prices will converge when the market returns to fundamentals. This was seen to be at the time “the safest play in town”. The hedge funds piled in and began shorting Volkswagen stock. On paper the trade made perfect sense – funds like Albert Bridge Capital, one of many hedge funds who were invested, were initially quite suspicious of the trade based on Porsche’s prior experiences with playing the market, but eventually conceded and got involved when the premium was over 3x (the prefs were at €90 and the ords at €270). The month of October 2008 was a good month to be a short seller, as stocks were falling everywhere but strangely not Volkswagen, that had doubled in the last two months. In the week of October 20th, shorts finally started to profit and Volkswagen started to decline and Volkswagen’s ordinary shares fell from €275 to €210. It seemed as if the market had started to converge based on the fundamentals. This move prompted hedge funds, who were largely offside from their short positions taken out before this point, to average down as the trade started to show signs of paying off. By the end of the week, according to Markit Data, 12 per cent of all shares were sold short, around $10billion worth. On October 26th Porsche made an announcement to the market stating it had been amassing VW shares and that it had increased its stake to 42.6%, plus 31.5% in options – 74.1% of the shares of VW. Lower Saxony at the time held 20.2% of the stock. The total shares of VW in between Porsches hands and Lower Saxony totalled 94.3%. This would not ordinarily have been a problem but 12 percent of the market was currently short and there was less that 6% of the shares available to buy on the open market in free float. It was mathematically impossible for every short-seller to buy a share, and therefore close their position. The shares opened on Monday 66% up and kept rising, and closed at €517: a 149 per cent gain in the space of one day’s trading. The short sellers that had not managed to buy back in the market were about to experience the real pain, by Tuesday the shares hit an intraday high of 999 euros, briefly making VW the most valuable company by market capitalisation, higher than the likes of Microsoft, ExxonMobil and PetroChina. Traders frantically tried to close out positions taking millions of dollars in losses from their opening price levels: the shorts had been well and truly burned to a crisp. The rise did not last for long; the pullback came and by Friday the position had reversed 50% with VW providing an extra 5% for the stricken shorts unable to get out of positions, closing out at 497 euros. Hedge funds such as London-based Odey Asset Management and Marshall Wace, as well as US funds including GreenLight Capital, SAC Capital, Perry Capital and Glenview all suffered losses. There was outrage from the financial community that such a disclosure had come with no forewarning. The losses totalled around 24 billion dollars, with many hedge funds threatening legal action. Porsche made 6.8billion euros from its cash settled options. In 2008 the company’s profit exceeded its revenue, with its main profit coming from its financial market transactions seen as an exceptional one-off item. In 2016 Germany’s federal court of justice, the country’s highest civil court, had dismissed a claim for €1.2bn brought by 19 hedge funds. This was one example of a trade that the hedge funds got wrong in spectacular fashion. With disclosures, regulations and technology now improved since 2008, it is unlikely we would see such an event occurring again but nothing is impossible, and it shows sometimes in the markets not everything is what it seems.